Maris Racal is a Filipina actress, singer and television personality who placed as the runner-up on Pinoy Big Brother: All In. In April 2015, she released her first single “Tanong Mo Sa Bituin” as part of Star Record’s compilation album “OPM Fresh”. On February 8, 2018, she released her newest single, “Tala” during her FanCon. As an actress, Maris landed her first main role in June 2015 as Elena in Tandem Entertainment’s film “Stars Versus Me”. She played Janine in the 2015 film The Breakup Playlist, alongside Diego Loyzaga, Sarah Geronimo, and Piolo Pascual. 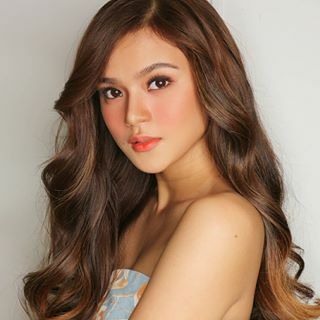 Born Mariestella Cañedo Racal on September 22, 1997 in Tagum, Philippines to parents Henry and Leony Racal, her father was a known folk singer. She graduated high school from St. Mary’s College in Tagum City. Currently, she is attending at Trinity University of Asia taking up Medical Technology degree. *She was born on September 22, 1997 in Tagum, Philippines. *She taught herself to sing and play the guitar by watching videos online. *She finished in second place on Pinoy Big Brother: All In. *She did cover songs on SoundCloud. *Her fans are called Mariestellers (Electric fans).